Sir Michael Philip “Mick” is an English singer, songwriter, and actor, best known as the lead singer and a co-founder of The Rolling Stones. Jagger's career has spanned over 50 years, and he has been described as “one of the most popular and influential frontmen in the history of Rock & Roll”. 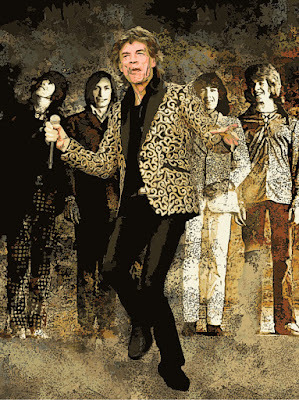 Jagger's distinctive voice and performance, along with Keith Richards' guitar style, have been the trademark of the Rolling Stones throughout the career of the band. Jagger gained press notoriety for his admitted drug use and romantic involvements, and was often portrayed as a counter-cultural figure.